Welcome to Natural Essence Health & Beauty! Natural Essence offers a wide selection of health and beauty products. 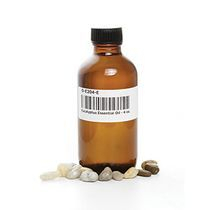 Essential oils for allergies, aromatherapy massage oils, fragrances, aphrodisiacs, organic herbs, spices, natural hair care products, and Afrocentric fashion. We're open for local pick-ups Monday to Saturday, 10 am to 5 pm EST, and we always offer FREE product samples! Need assistance? Call Natural Essence Health and Beauty at 478-227-9496 to speak with a live representative. Please allow 7 to 10 days for delivery. Below are actual sample sizes. Thank you for ordering your free sample. You can expect your sample in 7 to 14 business days! 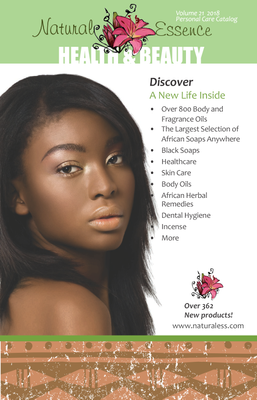 Personal Care Catalog offers over 800 fragrance oils, hair, skin, and health care products, African herbal remedies & more! 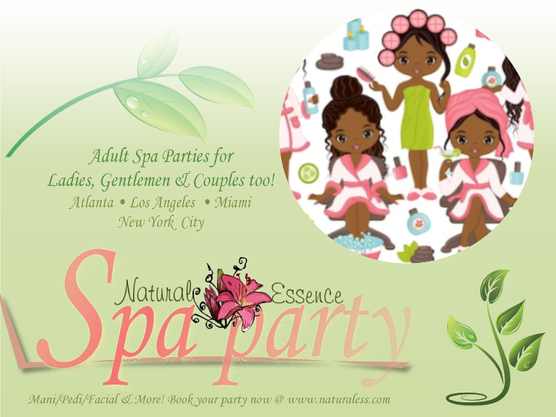 Now available - Natural Essence Adult Spa Parties! Manicure/Pedicure/Facial, Aromatherapy & Body Massage with licensed prof.
Click here for pricing and more spa party packages. 10% off all catalog orders! Order quickly with this form using the Product ID number. We'll invoice you via Paypal. Need more info? Read a blog! reviews and tutorials on our products. Great for personal care and health! Read our essential oils blog to learn more. care for natural hair textures. Are you overwhelmed with testing shampoos, conditioners and hair growth aides? 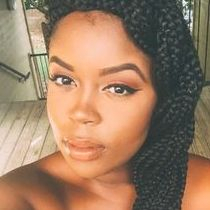 Read our hair care blogs. reviews and skin care tips. Heal, moisturize, sooth, and magnify your skin! Don't know what to use? Call us!! Certificate of Accreditation from IAOTH available.